Hardscaping features are an awesome way to set your home apart from others on the block. Hardscaping features are an awesome way to set your home apart from others on the block. If you are considering replacing your landscaping with hardscaping or just want to accent your flower garden, here are five creative ways to enhance your curb appeal with hardscaping features. How do you get from place to place without trampling through all of the flowers that you carefully planted? Walkways! Designated pathways keep feet where you want them and prevent visitors from harming all of the hard work that you’ve done. 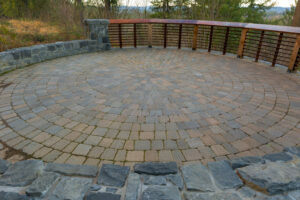 There are many creative ways that you can incorporate hardscaping and walkways into your yard, including using pebbles, stones, patio pavers, or bricks. Would you love to relax outside with a glass of iced tea at the end of a long day? Having a durable and long-lasting space to put your patio furniture and enjoy the great outdoors is essential to getting the most out of your landscaping. When designing your patio, make sure that you allow plenty of space for walking around and kicking back with a book. For something different, use textured concrete or patio pavers. Retaining walls are awesome hardscaping features because they don’t just look beautiful, they also serve a real functional purpose in your yard. Retaining walls can be used to hold flowers and other plantings and also stop erosion from washing away the plants and nutrient-rich topsoil in your yard. Retaining walls can be created from a wide range of creative materials to suit your style. Is your yard lacking a centerpiece to add a boost of interest and energy to the space? Add a new hardscaping feature! A stone fireplace, fire pit, fountain, or pond is a great addition that adds curb appeal and value to your yard. If you want something more than a patio, a deck or porch might be the best solution. 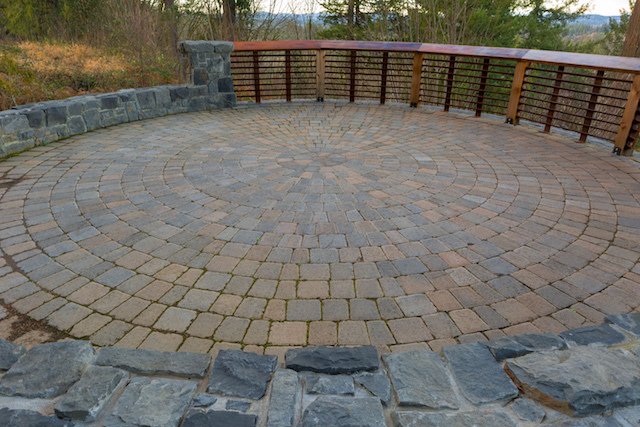 These hardscaping solutions give you more space and extend your entertaining area from inside of your home to the outside. This entry was posted on Friday, March 23rd, 2018	at 2:50 pm	and is filed under Curb Appeal	. You can follow any responses to this entry through the RSS 2.0	feed. Both comments and pings are currently closed.